Gil and Wesley Hibben continue their proud legacy collaboration with this brand new four-piece throwing knife collection. Each of the four throwers features hefty one-piece stainless steel construction with a sharp edge and a piercing point to penetrate your target easily. 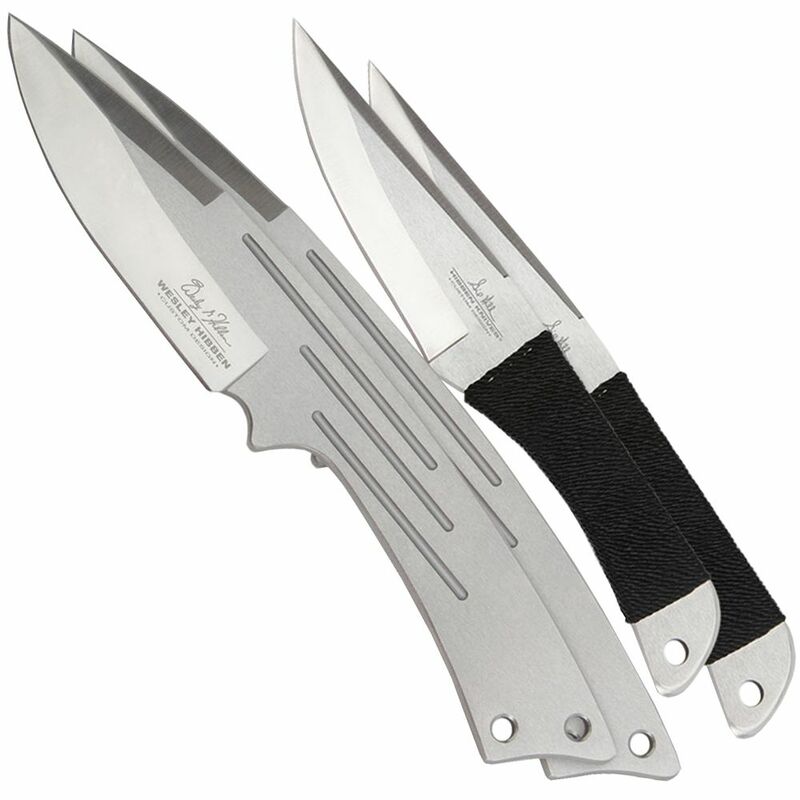 The two Gil Hibben 8-5/8" throwers feature cord-wrapped handles while the two oversized Wesley Hibben 10-1/8" throwers have an uncovered, ergonomically machined handle. All four come to you in a sturdy nylon sheath.